Experience quicker downloads, web browsing, video and gaming with less lag in Optus 4G* coverage areas. The Samsung GALAXY S4 smartphone lets you enjoy crisp, Full HD movies, enhanced web browsing and gaming on its gorgeous, 5” Full HD Super AMOLED display with 441 ppi pixel density. 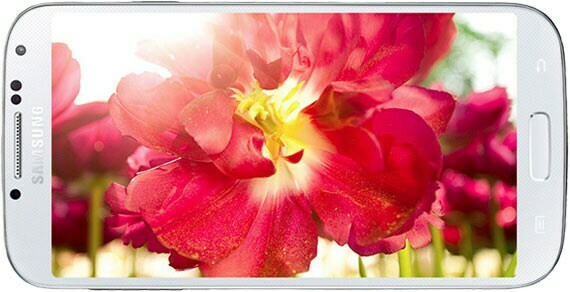 Capture all your precious life moments on the Samsung GALAXY S4. with friends and family; or travelling. The Drama Shot feature on the GALAXY S4 lets you capture a multiple-shot sequence in a single photo. Drama Shot is great for sports, kids, pets – or any fast-moving action. Organise your memories the way you want. With Story Album you can customise albums around your life events. You can also print photo books directly from your mobile phone, without a PC, using the Blurb† photo book printing service. 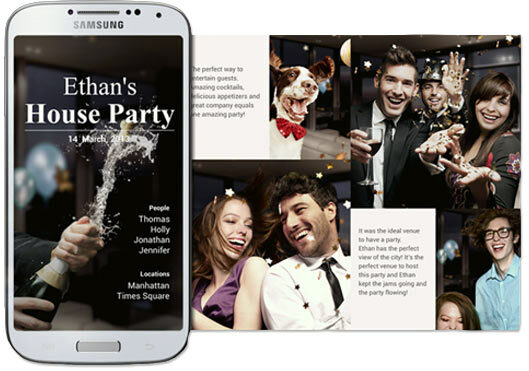 Group Play allows you to connect your GALAXY S4 mobile phone wirelessly with other GALAXY S4s to play multiplayer games together and share stuff between phones. 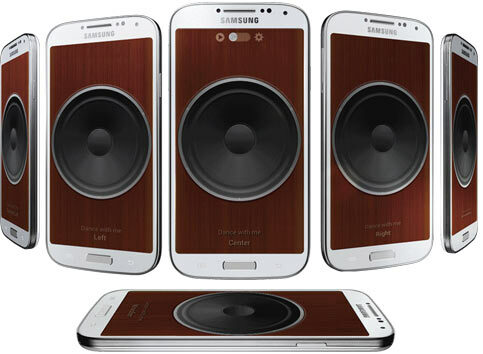 Best of all, you can simultaneously play a song on multiple GALAXY S4s for an awesome surround effect. Do you love overseas travel? Then you may find S Translator indispensable! Simply speak into the phone and it will translate into both text and voice. Moreover, you can have people reply in their own language and it will translate into text and voice for you! Is your fitness and health important to you? The GALAXY S4 can track your fitness and health data, all in one application, to help you achieve your goals. Furthermore, there are a range of optional accessories that help you monitor your health such as a wearable wireless HRM heart rate monitor and wireless Body Scale. This handy function scrolls whatever you are reading by simply looking at the phone and then tilting it up or down. Smart Scroll is perfect for when two-handed operation is difficult such as when travelling on public transport or while carrying something. Do you love watching videos on your phone? This handy feature detects when you look away from the phone screen and automatically pauses the video you’re watching. When you look back again, the video resumes playback! Just gesture in front of the front-facing camera and you can do things like navigate your phone, see previews, as well as flip through photos, song playlists, browser tabs and more. It’s important to stay focused while driving. S Voice™ Drive optimises your phone so you can enjoy hands-free, voice-controlled operation. Receive and make calls, organise messages, get directions – all without taking your hands off the wheel. † requires a data or connection. Download charges may apply if using mobile data. Levelling helps you save on excess usage fees! Have a go of our handy usage calculator. planResourceModels is empty or undefined. Need more help with calculating your monthly usage? Bonus Beats Solo 3 Wireless On-Ear Headset: Available if you are a new or recontracting customer who signs up to a 24mth plan valued at $85 or above with selected iPhones. Offer ends 30/6/19 and Beats Headset must be redeemed by 15/7/19. You will receive an SMS following service activation with instructions on how to redeem and your bill will show a corresponding charge and credit. Limit of one per service. Bonus Samsung Galaxy Tab A 8.0: Available if you are a new or recontracting customer who signs up to a 24mth plan valued at $85 or above with selected Samsung devices. Offer ends 30/6/19 and must be redeemed by 15/7/19. You will receive an SMS following service activation with instructions on how to redeem and your bill will show a corresponding charge and credit. Limit of one per service. Bonus Huawei Watch GT Active: Available if you are a new or recontracting customer who signs up to a 24mth plan valued at $85 or above with Huawei Mate20 Pro. Offer ends 30/6/19 and must be redeemed by 15/7/19. You will receive an SMS following service activation with instructions on how to redeem. Limit of one per service. Bonus Google Home Hub: Available if you are a new or recontracting customer who signs up to a 24mth plan valued at $85 or above with selected Google devices. Offer ends 30/6/19 and must be redeemed by 15/7/19. You will receive an SMS following service activation with instructions on how to redeem. Limit of one per service. MY PLAN FLEX AND PROMO FLEX PLANS: You can lease an eligible device on a 24 month plan. You don't own the device and must return the device to Optus in good working order at the end of your contract or you'll pay a damage fee of up to $499. If the phone is damaged during the lease and you'd like to have it fixed, you need to pay to have it repaired by Optus or the manufacturer (excludes warranty/consumer guarantee claims). MY PLAN FLEX AND PROMO FLEX CANCELLATION: If you cancel at any time within the 24- month contract term you will be charged a cancellation fee, pro-rated monthly for your remaining contract term. Additionally, if you cancel in the first 12 months you'll have to keep the phone and pay all monthly device charges (which will be increased by any device credits lost as a result of early cancellation) for the remainder of the contract term. If you cancel in the last 12 months of your 24-month contract, you can either return the device to us or make an offer to purchase it at fair market value (which we'll advise at the time). If you choose to return the device, you'll pay $99 if it's in good working order or a damage fee of up to $499 if it's damaged. MY PLAN PLUS AND PROMO PLUS CANCELLATION: Your phone repayments are reduced by a monthly credit. If you need to cancel your plan there are no plan cancellation fees, simply pay out the full remaining cost of your phone which will include any monthly credits that Optus was going to cover. MY PLAN PLUS AND PROMO PLUS NEW PHONE TRADE UP: After 12 months you can pay a one-off fee of $149, return your current device in good working order to a Yes Optus store and buy a new device on a new eligible 24/mth plan. Alternatively, if you wish to keep your original device simply pay out the full remaining cost of your device including any monthly credits that Optus was going to cover, then upgrade to a new device on a new eligible 24/mth plan. For more info visit optus.com.au/newphonetradeup. STANDARD INTERNATIONAL CALLS AND TEXT: $85, $105 and $125 My Plan Plus/My Plan Flex plan inclusions for standard international calls and text can be used to the following Selected Countries: Brazil, Brunei, Cambodia, Canada, mainland China, Columbia, Denmark, France, Germany, Greece, Hong Kong, Hungary, India, Indonesia, Ireland, Israel, Italy, Japan, Laos, Lebanon, Malaysia, Malta, Mexico, New Zealand, Norway, Poland, Romania, Singapore, South Korea, Sweden, Taiwan, Thailand, United Kingdom, USA and Vietnam. 'yes' International rates apply for excess and non-included usage. See optus.com.au/international. INTERNATIONAL ROAMING INCLUSIONS: $105 and $125 My Plan Plus/My Plan Flex plans give you unlimited standard national and international talk, SMS (excludes MMS) and an included amount of data to use in Zone 1 countries per month. For list of countries see optus.com.au/zone1. If you exceed your included data allowance then standard pay as you go data roaming charges will apply. ADDITIONAL DATA: If you use more than 150GB on a single billing account we may continue to charge you at the same rates or restrict your data use until next billing period. OPTUS' COVERAGE COMMITMENT: New services only on eligible plans. Excludes prepaid to postpaid. Return the phone in good working order within 14 days, pay additional plan features and any excluded usage. You may keep the phone and pay remaining handset or lease charges. Limit one per service. Max 5 services per account. For more details visit optus.com.au/coveragecommitment. PREMIUM SUPPORT: Excludes Optus DSL, Mobile Broadband and Fleet mobile services. Available when you either bundle your mobile and consumer–grade broadband and office line service or when you sign up to a $125 My Plan Plus plan and over (minimum total cost over 24 months is $3000) or when you have 3 or more mobile and or fixed services on the one account with an ABN or ACN. Enter your service number while calling. May take up to 15 days to apply. 24/7 LIVE CHAT: Not available to Optus DSL customers. Excludes technical support and Fleet mobile services. Available for customers with a valid ABN or ACN. MY BUSINESS FAST LANE: Available to customers who sign up or recontract on an eligible plan with a valid ABN/ACN. You must enter your eligible mobile number or eligible fixed phone number to receive fast tracking in the phone queue when you call customer service on 133 937. My Business Fast Lane is separate from Premium Support and excludes Fleet mobile services. OPTIONAL INTERNATIONAL CALLS PACK: Available on $45 and $65 My Plan Plus/My Plan Flex and is a monthly recurring pack to be used to selected countries for calls, SMS and MMS. Includes unlimited standard international calls to mobile and fixed lines and standard unlimited text. The pack can be cancelled at any time. 9am-7pm, Sunday 9am-6pm. Online offers are not available for phone orders.